Neutering and spaying dogs prevent certain health conditions that can be associated with being intact especially as dogs get older; These include things like breast cancer and uterine infections in female dogs and prostate problems in male dogs. Also, neutering and spaying prevents unwanted pregnancies and can help with behavioural issues like aggression, inappropriate urination and mounting. For male dogs, neutering ‘orchidectomy’ surgery involves the surgical removal (-ectomy) of the testicles (orchid-) as a sterile procedure, under general anesthetic. 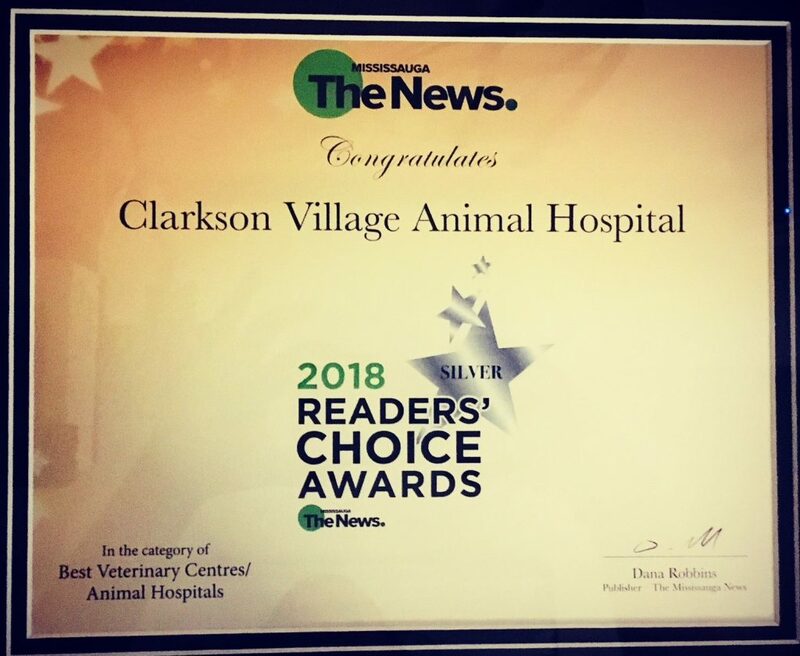 The surgery is performed by a licensed, experienced veterinary surgeon here at the Clarkson Village Animal Hospital. What happens to my dog during the surgery? The anesthetized patient, lying on his back, is shaved around the surgical site, and the skin is prepped with sterile solutions for surgery. The procedure involves making a mid-line incision and surgically removing the testicles. There are sterile dissolvable sutures at the internal incision sites, with the same suture material holding the inner layer of the skin together. The patient recovers from anesthetic in about 5-10 minutes, is sitting up in about 15-30 minutes, and walking within an hour or two. Analgesics (pain medications) are administered before, during, and after surgery, to provide a comfortable recovery. Our highly experienced operating room nurses are with your pet during the full recovery period to ensure that no problems can arise. Typically, most dogs are around six months when they are neutered or spayed, but there can be exceptions based on the breed, other health issues, temperament. Prices vary based on your pet’s needs. Please feel free to contact us anytime, we’re here 24 hours a day, 7 days a week to answer all your questions.